LIMITED EDITION: Only 2500 beautifully crafted decks printed! Will NOT be reprinted. It is said that the romance of men exists in the vast universe. This time, our journey is the starry sky. In the stillness of the night, when you look up at the starry sky, you will find that countless stars illuminate the entire galaxy. Only at this time will we realize that human beings are so small. Although the stars are not as dazzling as the sun and the moon, they symbolize the most precious qualities of mankind: loyalty and firmness. 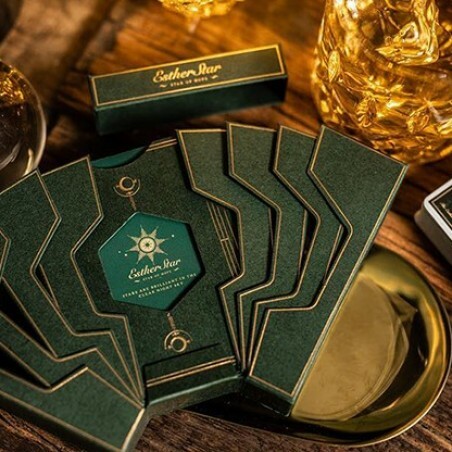 This card case of the Esther Star Playing Cards also uses the design of Luna Moon, and the green appearance symbolizes its relationship with the moon, just like flowers and green leaves. 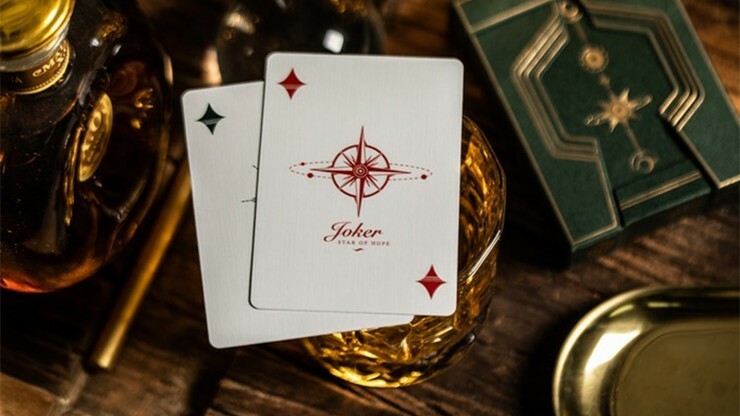 Esther Star Playing Cards is not only a milestone in our creation, but also represents every person who loves his or her life. For them, this is a beautiful symbol and imprint. The stars are restrained and subtle, walking among the clouds, reminding us with shimmering shimmer the meaning of life by welcoming every day seriously. The box's regular hexagonal opening is like the starlight, which is bright and tidy, neither dazzling nor bleak. The overall green design is more visually comfortable, and green also symbolizes new life and hope, just like every unknown planet. Maybe on every planet there will exist vitality and expectations. This deck is also a new life and idea in the cardistry design. 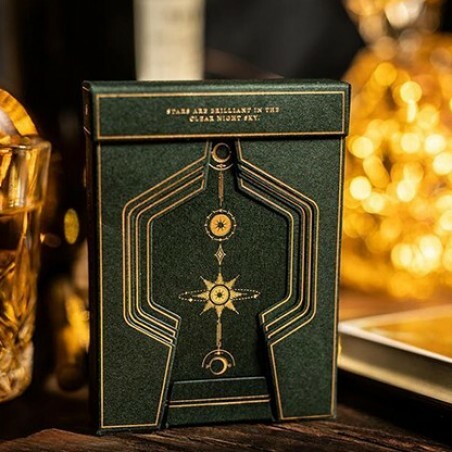 The track around the star and the trajectory of the moon on the card box both indicate that the universe is constantly moving in the course of operation and reincarnation, just like everything in this world. In the dark night sky, the nebulous nebula is floating, rendering the silence and the mysterious planets that have not yet been discovered. On the back of the card, there are stars shining below the moon, with the background of the deep and mysterious space. In the context of such repressed chaos, it is the starlight that guides us forward in the right direction. The role on the card back has also been replaced by the protagonist of this deck of cards - the stars. The combination of stars and orbits, just like the inherent laws in the universe, keeps running. Just like the merits of each of us, there is an infinite radiance around the stars. In view of the overall beauty of the playing cards, the original black color on Spades and Clubs has been replaced by green, which improves the integrity of the work. 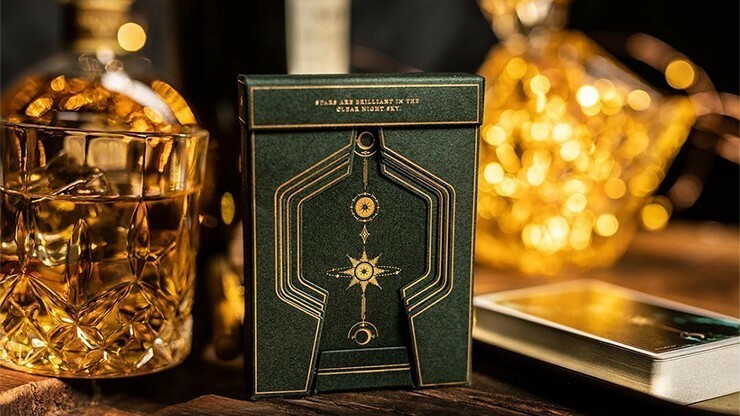 While continuing the gorgeous appearance of the series, it seems that the Esther Star Playing Cards have been added to the soul with an inherent introverted quality, constantly telling you the secrets of the deep space. The Ace of Spades is based on ancient astrological mysteries. Whether it is the modern scientific calculation of the universe or the ancient people's hypothesis of astronomy, the stars play a vital role in it. And this card shows the essence of the two. The pattern here is the star cluster totem depicted by the ancient human sacrifice divination. For the ancients, the mystery hidden in the stars can reveal the future, so we also hope to give everyone a bright future through this card. The phrase "Star of Hope" on the Joker card answers the question why this deck of cards is called Esther, just like the Persian Queen Esther in the Bible was called the "Star of Hope." It will also bring new inspiration and hope to cardistry designers and collectors. The Joker is the star of hope that we are familiar with - Polaris. I often hear people say: If you get lost, look up the North Star and follow its direction -- then you will find a way out. Because the position of the Polaris is relatively stable and difficult to change, it gives people the feeling of being loyal with its own position. From a life perspective, Polaris means leading us to the goal, just as it allows us to know the right direction. From the perspective of love, the Polaris symbolizes firmness, persistence and eternal guardianship. If it can be anthropomorphic, then it must have a commitment to the star that is close to it, or it will not leave the guardian, such as the moon. Although they are far away, the North Star is still guarding. So, the Polaris is very firm, symbolizing that it will never change! 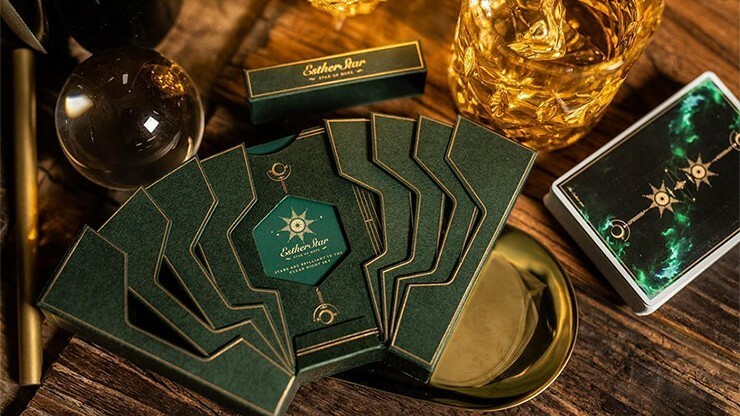 The Luxury Edition card box is made of German Kurz gold foil paper, which is 9 times the price of standard one! 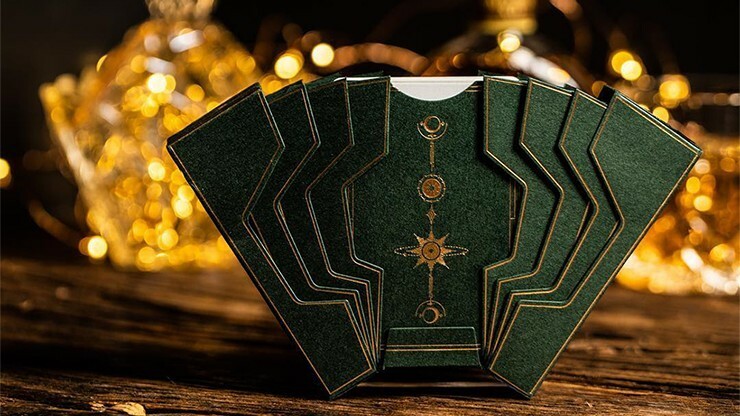 The common cards are made of Neenah Paper which is imported from France, and the required paper quantity is 7 times that of USPC standard card box! It took nearly half a year to produce a card box from the structural design to the test, involving the selection of the samples for several trials, only for the same functional effects after countless opening and closing tests. 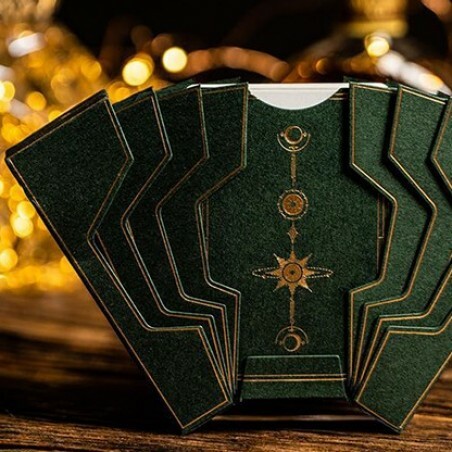 Each card box is hand-made, and it also takes fifteen to twenty minutes to complete one with proficiency, which is full of devout craftsmanship. 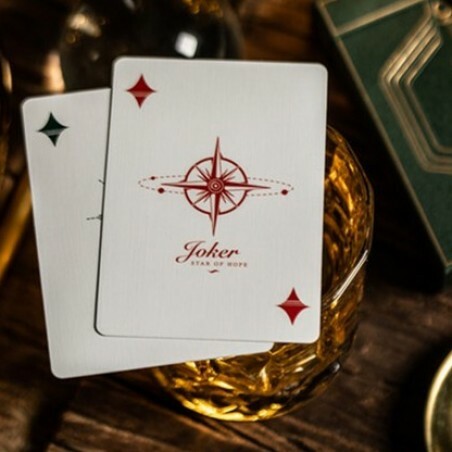 The playing cards themselves are printed on the finest quality card stock that the United States Playing Card Company has to offer. The legendary Air Cushion finish is also added to provide the smoothest experience of spreads, fans, and shuffles. United States Playing Cards Company has over 150 years of experience in printing playing cards. Trusted since 1885. You will love all that has gone into creating this deck.